San Pedro and the Los Angeles Harbor present many opportunities for sports and recreation. Diving, Jet Skiing, Sport Fishing, Sailing, Swimming and Windsurfing are some of activities available. 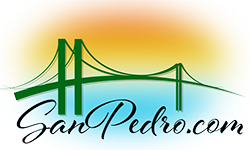 San Pedro is world known as a center for diving and sportfishing. The LA Harbor Area is ideal for wind surfing and the constant ocean breezes attract wind surfers from around the world.